WEST LAFAYETTE, Ind. — Purdue Convocations will present the Grammy-Award winning Christian rock group Casting Crowns and special guest Leeland at 8 p.m. Sept. 17 at Purdue University’s Elliott Hall of Music. 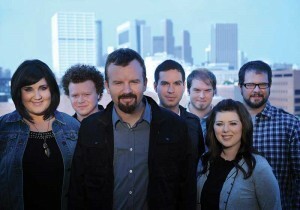 Casting Crowns, which remains focused on discipleship through music, has sold nearly 4.5 million albums; won a Grammy Award, an American Music Award, and 23 Dove Awards; and has produced eight chart-topping radio singles. Lead singer and songwriter Mark Hall has spent 18 years in youth ministry, and the band’s message remains rooted in the student services he has led on a weekly basis since 2001 at Eagle’s Landing Baptist Church near Atlanta. The songs start as messages for his 400 teenagers and their families and feature honest, hard-hitting lyrics. This tour supports their most recent release, “Until the Whole World Hears,” which was released in November 2009 and has already gone gold. 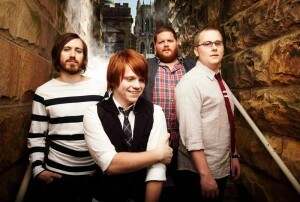 Leeland is a Christian rock group from Baytown, Texas. The band has released three studio albums and received a Grammy Award nomination and two Dove Award nominations for its debut “Sound of Melodies” (2006). The band’s third album, “Love Is on the Move,” was released in August 2009. Tickets are $15-$50 for adults and $15-$50 for those 18 years and younger, Purdue students and Ivy Tech Lafayette students. Tickets are available at the Elliott Hall and Stewart Center box offices at 765-494-3933 or 800-914-SHOW. Tickets also are available through Ticketmaster outlets. Discounted tickets for groups of 10 or more can be ordered at 765-496-1977.